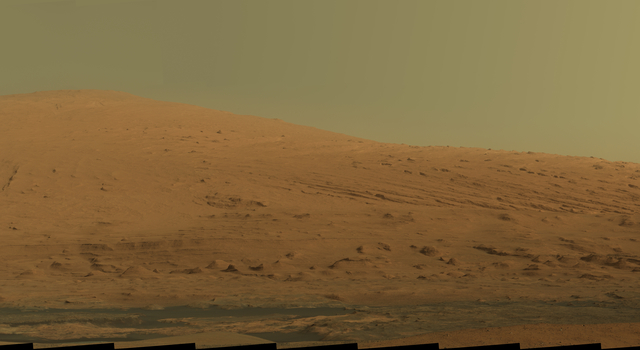 PASADENA, Calif. -- Rising above the present location of NASA's Mars rover Curiosity, higher than any mountain in the 48 contiguous states of the United States, Mount Sharp is featured in new imagery from the rover. A pair of mosaics assembled from dozens of telephoto images shows Mount Sharp in dramatic detail. The component images were taken by the 100-millimeter-focal-length telephoto lens camera mounted on the right side of Curiosity's remote sensing mast, during the 45th Martian day of the rover's mission on Mars (Sept. 20, 2012). 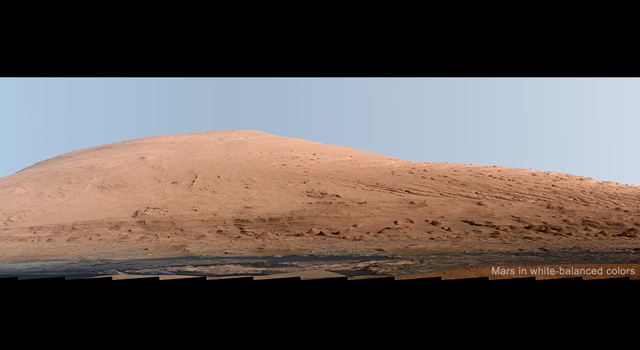 This layered mound, also called Aeolis Mons, in the center of Gale Crater rises more than 3 miles (5 kilometers) above the crater floor location of Curiosity. Lower slopes of Mount Sharp remain a destination for the mission, though the rover will first spend many more weeks around a location called "Yellowknife Bay," where it has found evidence of a past environment favorable for microbial life. A version of the mosaic that has been white-balanced to show the terrain as if under Earthlike lighting, which makes the sky look overly blue, is at http://www.jpl.nasa.gov/spaceimages/details.php?id=PIA16768. White-balanced versions help scientists recognize rock materials based on their terrestrial experience. The Martian sky would look like more of a butterscotch color to the human eye. 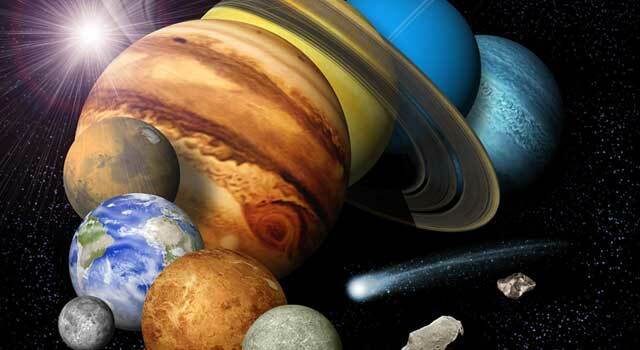 A version of the mosaic with raw color, as a typical smart-phone camera would show the scene, is at http://www.jpl.nasa.gov/spaceimages/details.php?id=PIA16769. The white-balanced and raw images are both available with pan and zoom functionality on GigaPan at http://www.gigapan.com/gigapans/125627 and http://www.gigapan.com/gigapans/125628, respectively. In both versions, the sky has been filled out by extrapolating color and brightness information from the portions of the sky that were captured in images of the terrain. NASA's Mars Science Laboratory project is using Curiosity and the rover's 10 science instruments to investigate environmental history within Gale Crater, a location where the project has found that conditions were long ago favorable for microbial life. 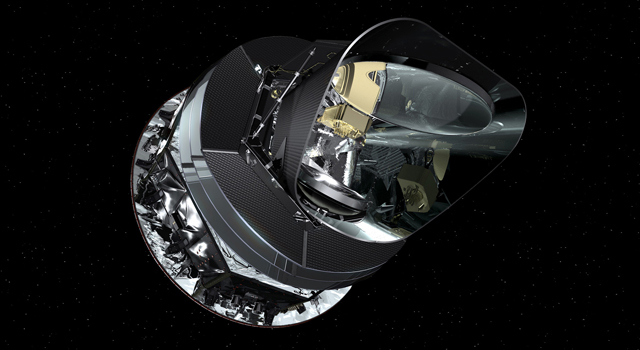 Malin Space Science Systems, San Diego, built and operates the Mast Camera (Mastcam) instrument. NASA's Jet Propulsion Laboratory, a division of the California Institute of Technology in Pasadena, manages the Mars Science Laboratory mission for the NASA Science Mission Directorate, Washington, and built the rover. For more information about the mission, visit http://www.nasa.gov/msl and http://mars.jpl.nasa.gov/msl. Follow the mission on Facebook at http://www.facebook.com/marscuriosity and on Twitter at http://www.twitter.com/marscuriosity.